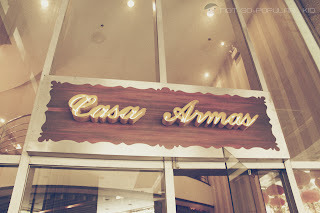 Here's a blog post on a restaurant that specializes on Spanish Cuisine - Casa Armas! Check this out! 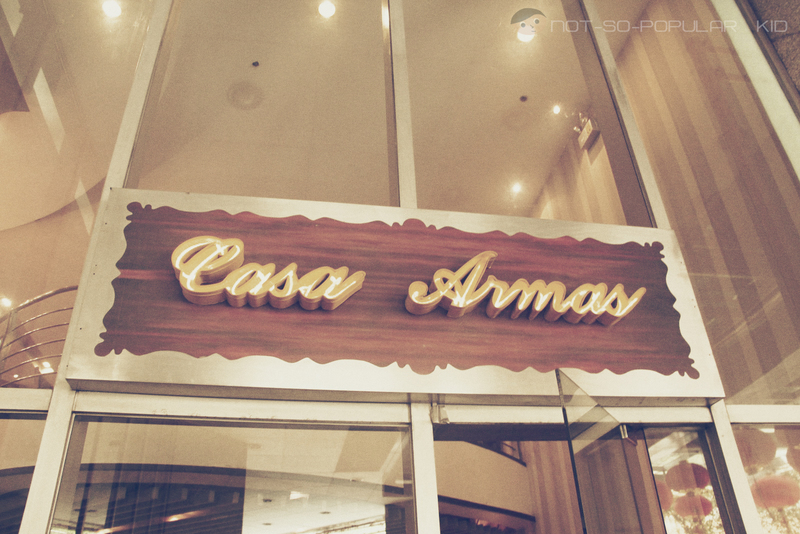 We were able to try Casa Armas in the Podium about a month ago through a coupon bought in Deal Grocer. I can't distinctly remember when was that exactly, and it's a shame that I'm too lazy to check out the details on when the photos were taken. Anyway, even if it was not recent anymore, I was still able to take note of my dining experience - literally, since I wrote them in a notepad ambitiously thinking that I was a food critic. Also side tracking a little bit more, I am continuously hoping that I will be able to perfectly squeeze blogging in my schedule so that I can post on time. But for now, pardon me for not posting as soon as possible. So, enough of those shizz, and let's get going! Let's quickly brush through how the place is in Casa Armas. From what I can remember, the place is not very much spacious (thus dining capacity is limited and would require you to have a reservation to ensure seating). And although the Spanish theme isn't very much evident on the entire set-up, the place still exudes a fancy and cozy ambiance. It's time to proceed with what we all love - the food! It took us some time to order up because we were trying to find some interesting and unique dish. However, we ended up picking the simple and conventional ones. And after the waitstaff took our order, these lovely house breads immediately came right up! And it was perfect, because from what I remember we were really famished that time and drained from thinking what to order. About 5 to 8 minutes after the house bread was served, our first order came up which is a famous Spanish dish called Callos, P250. So, that was considerably fast! Impressive! "Ambrosial" Ox tripe stew: Callos! What could have been more perfect than having something to go along with the bread aside from the butter? Admittedly, at first, I wasn't too eager to try it out because the dish was made up of ox tripe. You may not even know what that is. And I was exactly on the same situation then. But, since I felt the adventurous side of me kicking inside, I decided to give it a go. Upon tasting a spoonful along with a bite of bread, I initially felt the weird texture, but then it was followed by a superb taste! So, overall, it was great! It was pretty odd for us to not have greens as the first dish since in almost all the restaurants the greens always come up first. Anyway, this one was Ensalada Mista (P150) which featured iceberg lettuce with sliced fresh tomatoes, onion, bell pepper, cucumber, cilantro, tuna flakes accented by a sweet vinaigrette dressing. Time for some greens: Ensalada Mista! Having in mind that Casa Armas specializes on Spanish cuisine, we were too eager to taste their paella. Just a friendly note, if you are planning to have paella, order it as soon as possible because cooking time usually takes a minimum of 15-20 minutes. Now, the time we were all been waiting eventually came! So, I immediately took the opportunity to take a snapshot of this Paella Valenciana -Whole (P865). And I made sure to take it fast, because I was really starting to feel the urge to taste it. Every moment of the waiting was really worth it because the paella really tasted magnificent! Although my mom noted that it was a bit salty, the flavor for me was perfect! I can sense that this was almost perfectly crafted as evidenced by the memorable taste, texture and experience. In other words, the play of flavors really left me at awe! The dish really tasted so go that found myself too busy scraping and eating almost all the burnt paella (or what we call "tutong"). But that was when my mom told me to stop scraping all the carcinogens. Oh well, at least I already had a mouthful - such a guilty pleasure! Flan al caramelo for desserts! This one was a complete downer and a dull finale for me (again, this is just a personal preference). I was expecting for a creamier and more memorable Leche Flan, but I got to deal with an air-filled yolk. Alright, alright! It wasn't that bad, but it wasn't the way I expected it. And for a hundred pesos, I don't think that it was worth it. 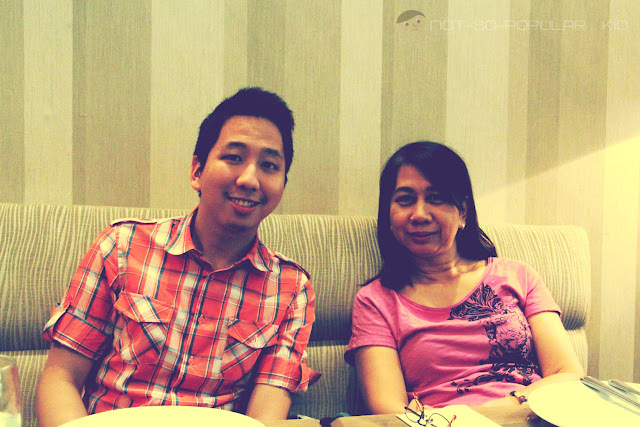 In fact, I like the Leche Flan of Goldiluck's better. And although some may argue that this one might be a great Leche Fan, for us it really was a bit mediocre. Ending with the desserts, I believe that sums up my dining experience in Casa Armas! Of course I recommend that you try this restaurant out and never forget to order paella. You will definitely have a jolly time tasting their dishes that you may end up blurting out "Delicioso!" Muchas gracias! Thank you for reading, and hoping to hear from you! I need a substitute for dry sherry in a spanish recipe, anyone have any ideas? I need a substitute for dry sherry in a paella spanish recipe, calling for a lot of seafood, does anyone know what i can use?